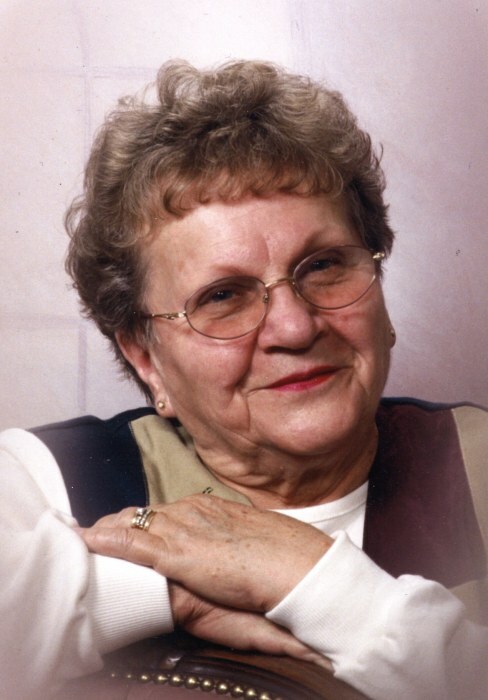 Opal C. Hammrich, age 89, resident of Coeur d'Alene, Idaho, died January 26, 2019 at Hospice of North Idaho Schneidmiller House. Opal was born June 19, 1929 in Ipswich, South Dakota to Joe and Julianne (Ludwig) Miller. Opal married her childhood sweetheart Henry C. Hammrich on October 12, 1950. They moved west to find a better life for their family. They found that in Coeur d'Alene. Besides being a devoted home maker and housewife, Opal worked side by side with her husband for 37 1/2 years supervising and maintaining St. Thomas Catholic Cemetery. Two of her biggest treasures in life were her grandchildren and her flower garden. Opal is survived by three children; Kathy Rumelhart and her husband Michael (deceased) of Pasco, Washington, Jeff and his wife Denise Hammrich of Asotin, Washington and Julie and her husband Michael Smith of Rathdrum, Idaho. Grandchildren; Dawn R. Rumelhart, David and his wife Dawn M. Rumelhart, Cami and her husband Dustin Brown, Nichole and her husband Gavin Triplett, Jacob and his wife Kellee Smith, Hanna Wilcox, Cameron and his wife Hannah Smith, Sara and her husband Dr.Casey Denton, 20 great grandchildren; Caylie, Cady and Carly Browne, Logan and Avery Triplett, Nala, Elliot and Michael Rumelhart, Brody, Braxton and Barrett Smith, Payton, Paige and Taylor Wilcox, Aubrey, Clayton, Levi and Hattie Smith, Lyla and Charlotte Denton. Opal was preceded in death by her husband and son Little Henry, Jr. Donations can be made to the St. Thomas Church or Schneidmiller Hospice House. Opal's Funeral Mass will be Saturday (February 9th) at 11:00 a.m. at St. Thomas Catholic Church, 919 Indiana Ave., Coeur d'Alene with burial to follow at St. Thomas Catholic Cemetery.